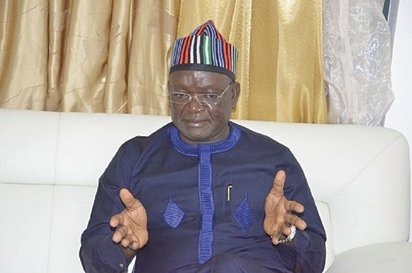 Governor Samuel Ortom of Benue State has revealed why ‘the majority’ of Benue residents are opposed to the re-election bid of President Muhammadu Buhari. While explaining that the people of the state have ‘nothing against Fulani people’ as it is being insinuated, he adduced reasons for the Benue people’s alleged discontent with the President. Ortom made this known in a statement made available to the News Agency of Nigeria on Monday in Makurdi and signed by his Special Adviser on Media and ICT, Mr. Tahav Agerzua. “We have lived with the Fulani people for ages; we have nothing against them. Even the Fulani people know that we have nothing against them,” Ortom said; recalling that Benue people voted overwhelmingly for former presidents Shehu Shagari and Umaru Yar’Adua in 1979, 1983 and 2007 respectively. “We also voted for President Muhammadu Buhari in 2015, but while Shagari and Yar’Adua reciprocated the support they received by patronising Benue people through federal appointments and projects, President Muhammadu Buhari and the APC have failed to register any positive federal presence in the state,” Ortom said. “But from my findings, majority of Benue residents are opposed to the re-election of President Muhammadu Buhari and the APC, because they have failed to register any positive federal presence in the state. “Many people also feel that the APC-led Federal Government has failed to secure lives and property,’’ he added. The governor promised to work with his predecessor, Dr. Gabriel Suswam, to bring development to the state. The statement said that Ortom and Suswam had put the past behind them and had resolved to work together. In the meantime, Suswam has appealed to Ortom’s close aides to educate the people on the governor’s achievements and his challenges. He also urged Ortom to entrust his fate in God’s hands so that the creator would always resolve challenges in the governor’s favour.